You've got to love a meal that has barely any ingredients. 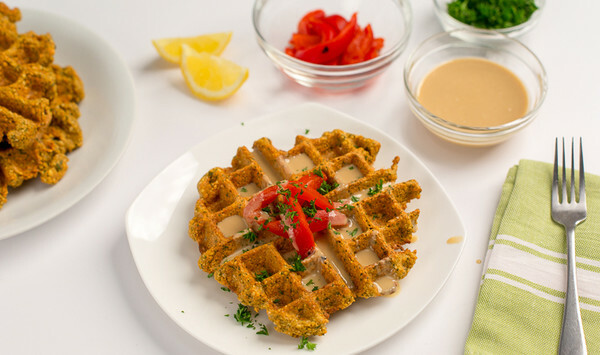 These falafel waffles use Trader Joe's falafel mix (just add water!) and whatever fun toppings you choose. 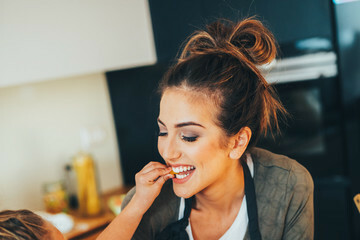 That's a meal you can have on the table in minutes and let your kids help customize.